As you lie down in your king size bedroom, on your king size bed, on top of your super comfy king size mattress topper, you find yourself not getting the kingly sleep that you long for… You bought yourself the best pillow, a yearlong comforter, that is adjusted to your demands and still you seem to be missing something. Have you considered going king size all the way? 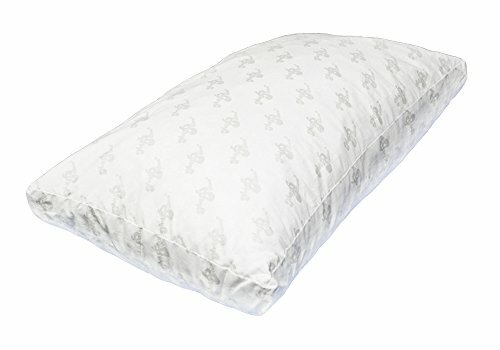 Are there any good king size pillows? You may be surprised, but you are not the first who came to the conclusion that a king size pillow is what’s missing for the good rest of the neck and back. There are options cheap, there are products natural, there are even some that, despite the polyester filling, fit your requirements the best. We have searched high and low and we found the most interesting – in price and quality -, options. Top 15? No problem whatsoever! Here is our Top 15 king sized pillows. 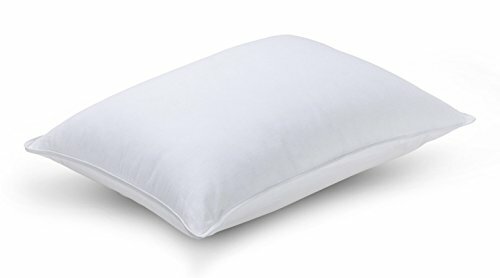 The best king size pillows that ever existed on the market, the best king size pillows that help your neck and back get the best rest, all night long. You can take your pick from our top 15. We are more than sure that the one that was missing from your life so far is here below! 1. Getting a good King size pillow for a low price isn’t impossible and the Newpoint 400 Thread Count Jacquard Gel Fiber Filled Bed Pillow King sure surprises with its good features. The pillow comes with a 400-thread-count and 100% cotton jacquard shell, which means it’s not only durable, but also so nice to touch. The gel fiberfill in the pillow creates just the right firmness. As a matter of fact, the pillow has a good balance between softness and support. The fiberfill is also hypoallergenic, managing to keep safe any allergic customer. The pillow may be successfully used in all sleep positions and it alleviates shoulder and neck pains. It’s quite supportive for your back and neck, no matter how you sleep. 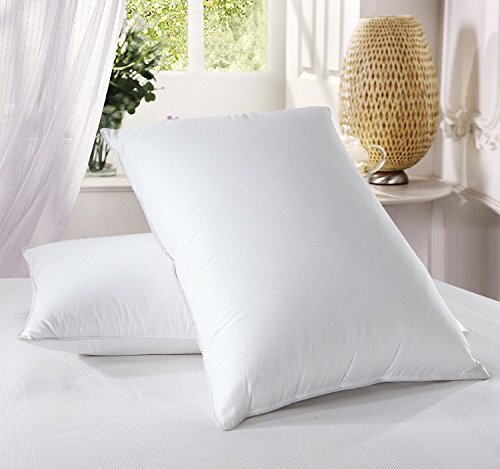 The polyester gel fill helps the pillow spring back to its original shape over and over again. The pillow stays in place and doesn’t shift in your sleep. It doesn’t get flat any time soon and keeps its shape. Washable and dryable, the pillow is a great option that also looks nice and elegant. All in all, for a low price, you get a comfortable, supportive, yet soft pillow that also looks so nice. 2. Breathable and hypoallergenic, the Clara Clark Rayon made from Shredded Memory Foam Pillow Clara Clark Rayon made from Shredded Memory Foam Pillowis a dependable option for anyone willing to try a shredded memory foam pillow. The pillow is filled with 100% shredded memory foam which means it comfortable and supportive all night long. Its cover is made with 40% bamboo and 60% microfiber, helping with breathability and nice feeling in your sleep. The filling makes the pillow able to adjust to your head and body, offerince a cooling and ventilated surface for your sleep. It’s firm enough to align properly your spine and to diminish various pains from sleep positions, including snoring. It may also have a good influence on any muscle pains that you’re struggling with. It’s a great solution when you’re dealing with some shoulder or joint problems and the pillow eliminates pressure points as well. The filling and the built of the pillow increase its versatility so you may use it, no matter how your sleep position is. The breathability of the pillow is one of its main assets and the ventilation comes from the filling and the breathable cover. As it’s also hypoallergenic, the pillow keeps dust mite and bacteria away from you. The zippered cover is easy to remove for machine washing so the pillow becomes low maintenance, but with a longer life span. For what is worth, the pillow brings plenty of good things to our attention and only some minor issues that don’t undermine its value. 3. Just because you go shopping on a fixed budget, it doesn’t mean you can’t get some dependable, good king size pillows. It’s the case of the Dream Supreme Plus Gel Fiber-Filled Pillows, King (Set of 2) that brings nice comfort for your sleep, at a very good price. 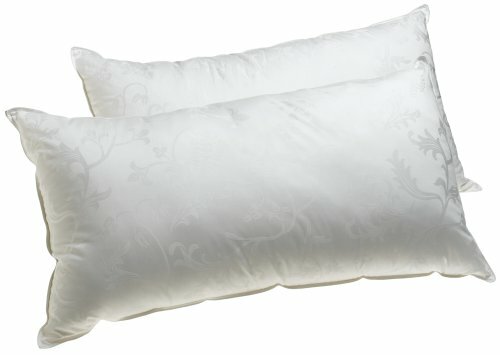 The set includes two king-size pillows that are contain hypoallergenic down-alternative. The polyester gel fiber fill has no-shift construction and comes back to its original shape over and over again. The pillows are versatile and may be used for any sleep positons as they give comfort and support for your neck/back, no matter how you choose to sleep. The cover is made with 370-thread count, 100% mercerized cotton that has a nice, soft touch feel. The jaquard pattern on the sheel looks nice and elegant and it’s so smooth onto the skin. The pillows are machine washable and dryable on a cool setting, making them so easy to take care of. They feel soft and have no specific smell. The pillows are cozy and poofy and the price is amazing. We’re not focusing on the downsides and take away only the good things: the comfort, the versatility, the feel that come for a very good price. 4. Fluffy and supportive, the Beyond Down Gel Fiber Side Sleeper Pillow, King is versatile and comfortable for all sleep positions. The pillow is made here at home in our USA and features a nice, soft 100% cotton cover. The cotton is 300 thread count, which makes it quite durable and with a nice soft touch feel. And now that we’re on the durability matter, we need to mention the 4.5-inch gusset with double needed corded edges that sure make the pillow last a bit longer. The pillow is huge and is filled with micro denier gel fiber that is so similar to goose down. The pillow brings the comfort of a down fill pillow, but does’t bring up your allergies, as it’s hypoallergenic. The pillow is fluffy, firm and doesn;t get lumpy any time soon. Due to its size and design, some use it as a body pillow, between the legs. The pillow has good ventilation and doesn’t build up heat. The pillow is easy to take care as it’s machine washable. All things considered, for the versatility, fluffyness and good construction, the pillow is a nice option to consider. 5. 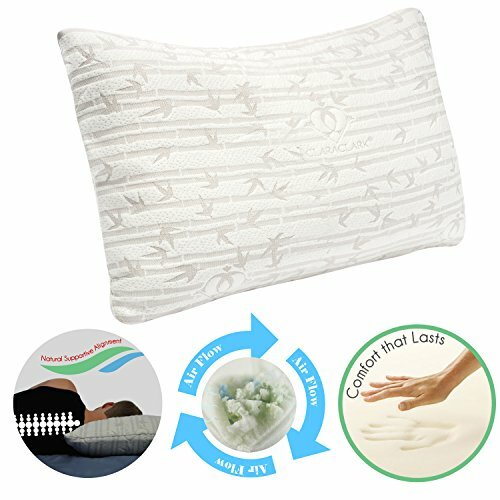 The nice plush material on the Sleep Restoration Gel Pillow gives you a nice feel when sleeping. 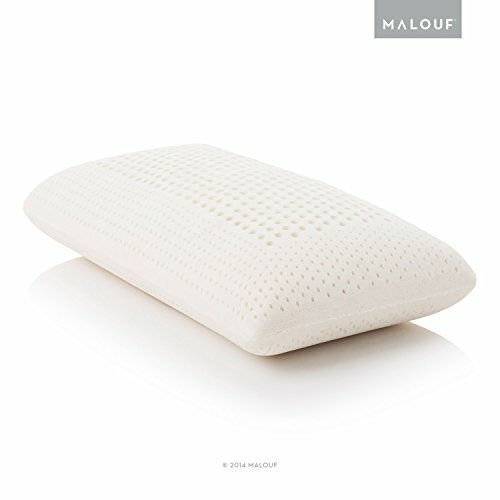 The pillow comes with Sleep Restoration Gel fiber filling that creates a surface that has just the right firmness. The pillow fits all sleep positions and is highly versatile. The built of the pillow is good and it’s no shift, which means the pillow stays in place throughout the entire night. If you are fighting some allergies, it’s good to know the pillow is dust mite, mold and mildew resistant. It’s hypoallergenic and chemical free so it’s a healthy option for anyone struggling with asthma, allergies or respiratory problems. The pillow has a good breathability so it’s cooling you in your sleep. It has just the right firmness and it’s quite bouncy. It’s soft and squishy, but comfortable for most of us. As for the maintenance, we like the pillow is fade and stain resistant. Furthermore, the pillow is machine washable so it’s very easy to clean. On top of everything else, the pillow has a luxurious feel and seems quite durable also. For the money you pay though, the pillow isn’t just comfortable, but also easy to take care of and so nicely looking. 6. Comfortable and adjustable, the Coop Home Goods – PREMIUM Adjustable Loft brings many good things to consider when shopping and only few drawbacks. The pillow is made here at home in our USA, which means you don’t need to worry much about the quality of the materials of craftsmanship. The pillow is filled with shredded hypoallergenic Certi-Pur US memory foam so it’s comfortable for any sleep position, alleviating all sorts of pain from sleep. 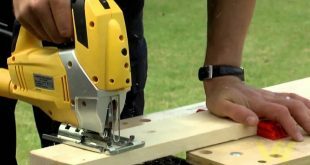 It’s fully adjustable so you may add or remove filling, according to your needs. 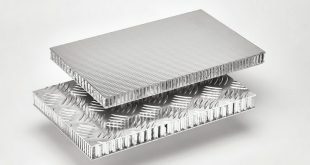 The filling ensures efficient ventilation and good alignment for your spine as well. Additionally, the pillow maintains its shape and doesn’t go flat in time. The cover on the pillow is made of 60% Polyester and 40% Bamboo-derived rayon. This means the pillow is safe to use by the allergic customer as it’s hypoallergenic and dust mite resistant. The cover is also easy to remove for machine washing when in need. Plush and highly breathable, the pillow is highly adjustable which explains its popularity. You may basically shape it exactly how you want from the very first time. The pillow is well made and takes the intense use. Breathable, well made and highly adjustable, the pillow is a hypoallergenic option that works for so many of us. 7. 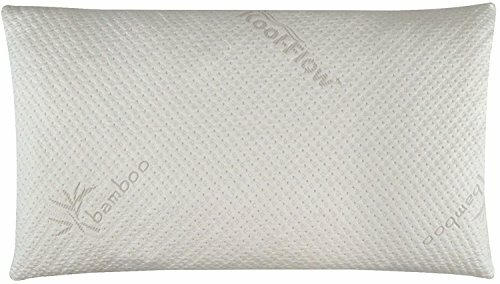 If you are a big fan of nature and want only natural materials for your sleep, don’t hesitate to give it a go with the Snuggle-Pedic Ultra-Luxury Bamboo Shredded Memory Foam Pillow. Not only the pillow is made here at home in our USA, but it’s also made with an interesting combination of materials. 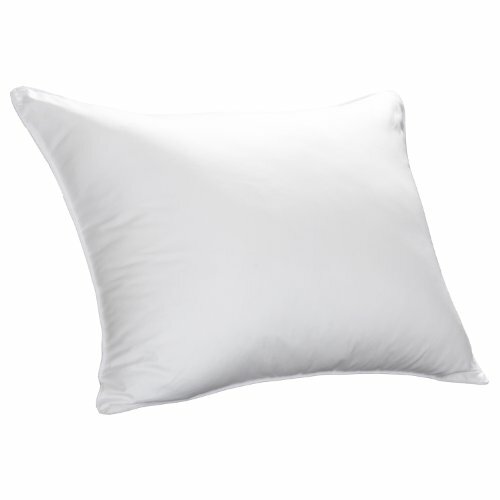 The pillow is made with 43% viscose of bamboo, 56.4% polyester and .6% Lycra. This results into a nice, hypoallergenic pillow that is so smooth to touch. As you look at its label, you also notice the Kool-Flow feature, which makes the pillow highly breathable thanks to the micro-vented cover. The pillow creates a nice, cooling surface for your sleep, even in the hot summer nights. We also like the pillow for its adjustability. You may actually adjust the pillow orthopedically so that it gives good neck and back support, no matter how you choose to sleep. This makes the pillow a reliable option even for the pregnant women. Its shredded style combination memory foam doesn’t change its shape and is comfortable for long time. Your face doesn’t sink into the pillow and you rest well during the night. Let’s not forget the pillow is also hypoallergenic, dust mite resistant and includes no harmful chemical. It has no specific smell and it’s non-toxic. As for the maintenance, it’s good to know the pillow is fully machine washable. The luxurious look and the nice soft touch feel end the description of the pillow. For all the good things it brings, we still consider the pillow to be a reliable, comfortable and hypoallergenic option that it’s worth to try. 8. 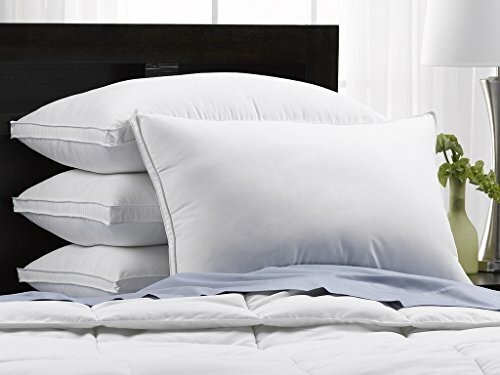 Made in our USA, the SOFT Exquisite Hotel Luxury Plush Down-Alternative Pillows 4-Pack, King Size are the pillows to get for your guest room as you want your guests to feel nice and cozy in your home. The pillows are made of 100% microfiber and are soft to touch and for support. They are filled with gel-fiber so remain cool throughout the entire night. The 220-thread-count Polyester microfiber is also breathable and feels nice against the skin. The design of the pillows make them a great choice for all sleep positions, especially for the stomach sleepers as they ensure proper body alignment. They alleviate all sorts of pains from sleeping position: neck, back pain, sciatica and so on. If you are currently dealing with some allergies, it’s good to know that the pillows are hypoallergenic and vegan. Gel fiber pillows are dust-mite resistant (by nature) so they keep under control your asthma, skin rashes or allergic rhinitis. The pillows don’t shift and don’t compress in your sleep. They provide a good support and feel so soft. The pillows are plumpy and spring back to their original shape for a good amount of time. They are machine washable, so are easy to take care of. Very well made, the pillows look quite elegant on any bed. The pillows have an elegant appearance, are great for the stomach sleepers and their minor problems aren’t deal breakers for us. 9. The Patented Interlocking fill on the My Pillow Premium Series Bed Pillow lets you adjust the pillow exactly how you need it, no matter how you sleep. The pillow comes in 4 various loft levels, depending on the T-shirt size. You may go from a less firm pillow up to a very firm pillow. This also means the pillow is versatile and may be used for all sleep positions. As for the craftmanship, we notice the pillow is very well made and the 2-inch gusset around the whole pillow increases your comfort and has an elegant vibe attached to it. This also gives more loft and ability to adjust the pillow just the way you need it. Don’t worry much on the care of the pillow, as it’s machine washable and dryable. You can actually wash it every 2-4 months for a fresh feeling in your sleep. The breathability of the pillow is efficient as the fill is an Open Cell Poly. This means the pillows stays cool the entire night and you don’t wake up over and over again to flip it on the cool side. This may be a seal dealer for some: the pillow is made here at home in our USA so this means the pillow is pretty dependable. All in all, we still like the pillow for its versatility and reliability and don’t mind much about the minor issues. 10. Made in our USA, the Luxuredown White Goose down Pillow, Medium Firm – King Size sure give your bed a luxurious vibe, to say the least. The pillow is fill with luxurious white goose down, so you get a soft, fluffy pillow that creates a nice support when sleeping. The pillow has a 650 fill power and it’s medium firm, which is why it’s a great choice for the back and side sleeper. The cover is made with 330-thread count cotton so the pillow feels nice against your skin also. The cover protects the pillow and expands its life span. Additionally, it completes the luxurious feel and sustains the comfort of the pillow. The small stitching on the cover say a lot about the craftsmanship on the pillow and helps with its durability. The pillow is quite adjustable and you may shape it to the right height for your neck. The pillow keeps its shape for quite a while and is very well made. Nevertheless, for the soft feel and comfort it gives, the pillow is a great option for any side/back sleeper. 11. Due to its firm density, the Z 100% Natural Talalay Latex Zoned Pillow – King – High Loft, Firm is a natural option for the back and side sleepers. 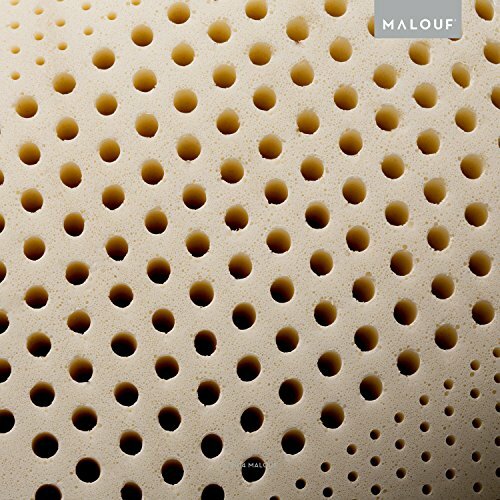 The pillow is filled with 100% pure natural Talalay Latex and contains no synthetic additives. The special foam consistency and the zoned technology ensures zoned support and great pressure relief. The pillow gives amazing neck support and alleviates back pains or other pains related to sleeping position. The pillow feels soft and it removable velour cover doesn’t just protect the pillow, but also increases your comfort with its soft touch feel. The cover is made from a rayon from bamboo blend (75% polyester, 25% rayon from bamboo) and creates a nice, cooling surface for your sleep. Z Talalay latex takes your body movements within seconds and gives amazing support. It’s quite a springy pillow that comes back to its original shape for a long time, without fluffing it. Additionally, you may use the pillow for sitting up in your bed. Talalay latex is naturally breathable and cooling. 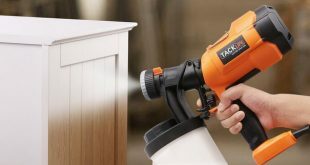 It’s also antimicrobial, mildew proof and dust mite resistant, which is why the pillow is a healthy option for any allergic customer. 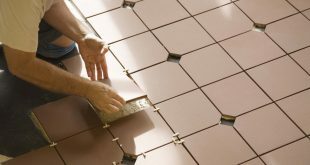 You may choose from various sizes, firm/plush densities, and high/low profiles. The diversity of the options lets you find exactly the pillow you need. The pillow dissipates heat and keeps you nice and cool throughout the entire night. Never mind the cons, as, for the breathability, support and comfort the pillow is sure worth to try when in need for a natural latex pillow. 12. When you are ready to sleep on a cloud, give it a go and try the East coast bedding 100% White Down Pillow. The pillows are filled with luxurious white down. This means they are fluffy, soft and keep you so warm in your sleep. The fill power is 550FP, which means the pillows are soft, yet able to create comfortable support. It’s a great option for face and stomach sleepers. The pillows come with 300-thread count 100% cover that has a soft touch feel and doesn’t scratch. We like the pillows as they are soft and quiet and the filling never pokes. They keep you warm but don’t get hot. The stitching on the pillows is good quality and the pillows have an elegant and durable feel altogether. In order to expand their lifespan, it’s better to dry-clean only the pillows. When you want to get some fluffy, soft and warm white down pillows, these ones are sure worth to try. 13. Hands down for the Royal Hotel’s Down Pillow – 500 Thread Count 100% Cotton, King Size as they sure make you feel like you sleep in a 5stars hotel every single night. The luxurious pillows come with 750 Fill power down, which means they are firm, yet so soft for a comfortable feel. The fill is actually 90% down ration and 10% smaller feather. The pillows keep you cool at night and never poke you. By contrary, they feel so soft and nice every time. 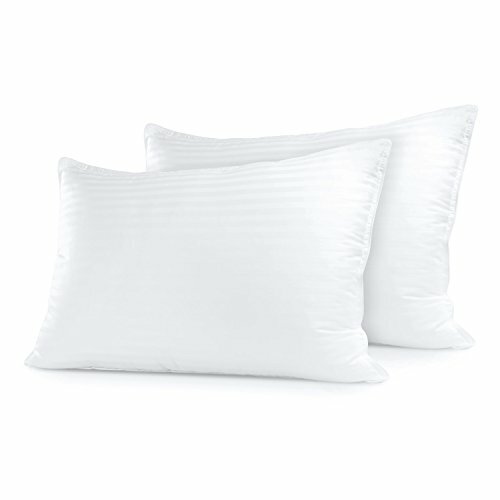 The pillows come with 100% 500 thread-count cotton covers that match the luxurious down filling. The double silky piping give clean and durable finish and increases the life span of the pillows. 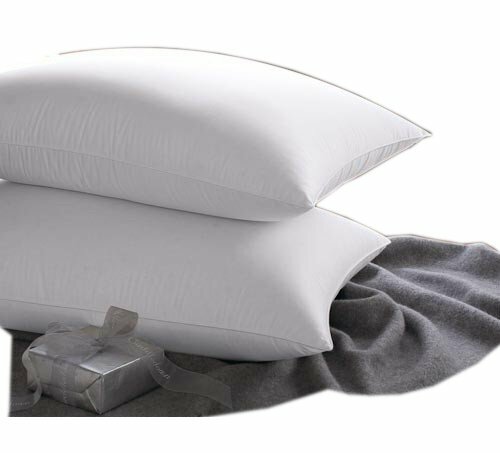 The white Down filling is also bacteria free so the pillows are hypoallergenic and safe to use by the allergic customer. 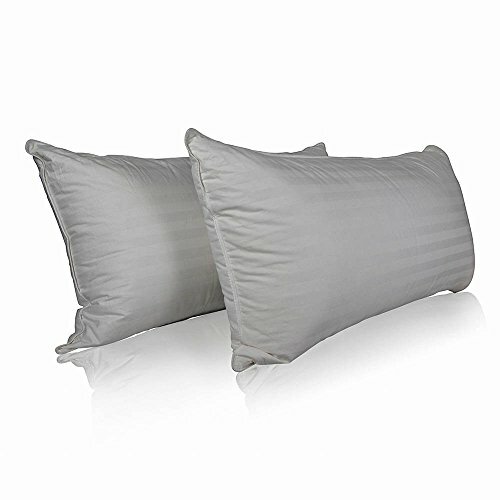 Unlike so many other down pillows, these ones don’t get flat and remain fluffy for quite some time. They adjust to your head and body, providing the best comfort in the night. They keep you cool and don’t have a specific smell. The pillows are very well made and you should dry clean them. You may fluff them in dryer for faster fluffing. No matter how we put it, we are still stunt by the quality and fluffiness of the pillows that give a luxurious feel and comfort to anyone. 14. You may feel you pay an arm and a leg for them, but when you see that you actually get two great pillows for just one price, you realize that you get quite a good deal at the end of the day. 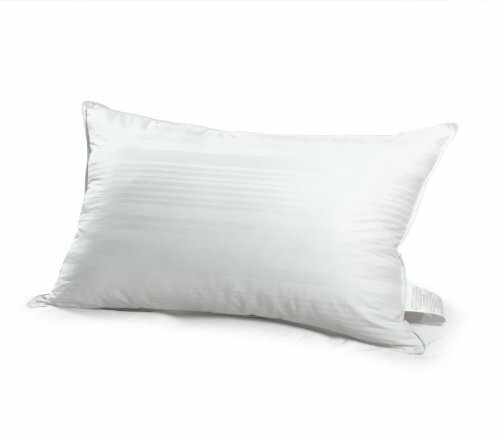 The Superior 100% Hungarian Goose Down 700 Fill Power White Goose Down Pillow. King Size are everything you’d expect in some goose down pillows: soft, fluffy and yet so supportive. The pillows are filled with 29 Oz. 100% white goose down and present a 700-fill power. They cradle your head so nicely and their firm density make them an amazing option for the side sleepers. They remain cool the entire night and you never toss in your sleep. The pillows are so lightweight, yet so solid and well made. They are large and the filling is distributed evenly. They don’t poke like other down pillows nor have a specific smell. The pillows come with a striped cotton cover that is soft to touch and increases your comfort. The 300-thread-count cotton cover completes the luxurious appearance of the pillows, protecting them at the same time. We like the pillows for the amazing comfort and just the right firmness they present. They help you sleep the entire night, without tossing and turning anymore. 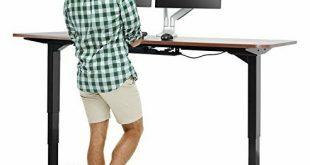 They are firm enough though to provide good support when working or watching your favorite TV show in bed. The pillows are very well made here at home in our USA and truly represent a good investment for your bedroom. Despite the minor issues, we totally love the pillows for the firm, yet fluffy support they give and the amazing comfort they provide. 15. The more you are willing to pay, the more you get from your pillow. 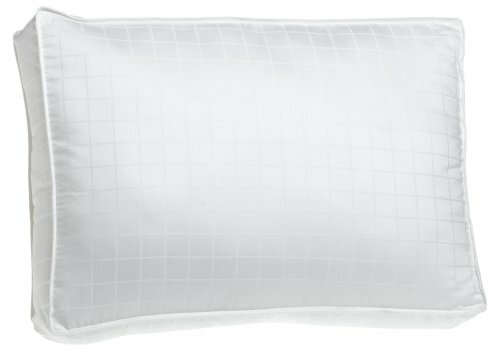 The Cuddle down 800 Luxury Goose Medium Pillow, King doesn’t surprise with its performance when you check out its labels, but it does surprise you if you never tried a white goose down fill before. 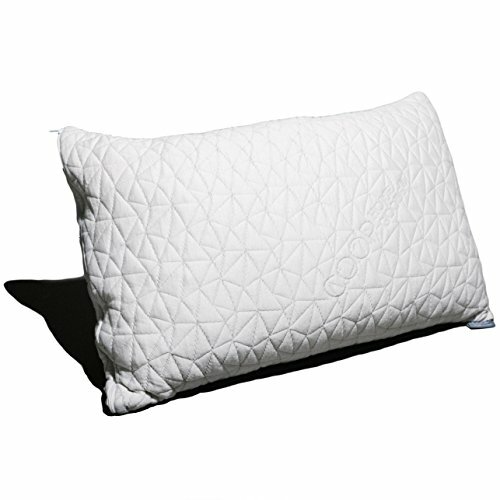 The pillow is made with white goose down fill (European type), here at home in our USA. Therefore, not only the materials, but also the craftsmanship on the pillow is high quality. The pillow is made to last and the 800 fill power satisfy most needs out there. The cover of the pillow sure matches the amazing filling. The cover is made of down proof, 450-thread-count, 100% cotton sateen. The cover has a nice feel onto your skin and it’s sure nice to sleep on it. The pillow is lightweight, supportive and soft. It alleviates pains from sleep positions and minimizes tossing and turning throughout the night. You may choose from 4 sizes and 4 firmness levels so you get in the end the pillow that fits the most your needs and wants. The high quality craftsmanship, the amazing quality of the filling recommend the pillow as a great asset for anyone willing to pay the extra buck for their extra comfort. There are no doubts about the pillow: it’s comfortable, fluffy, supportive and well made. Even though its price may strike you at first, it’s worth every single penny.